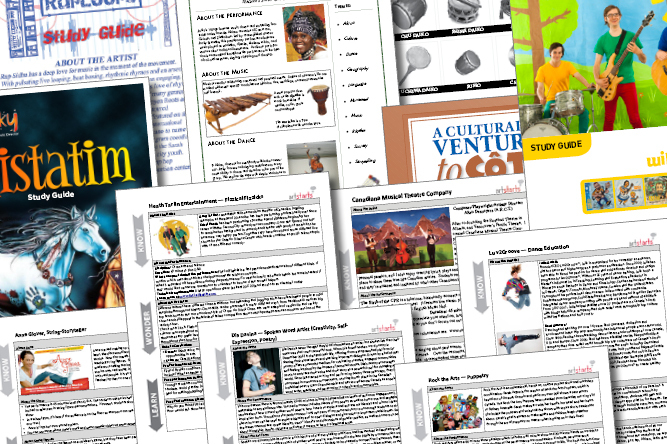 Many performing artists in ArtStarts' Artists on Tour Directory provide Know-Wonder-Learn (KWL) Charts and/or Study Guides to enhance students' experience before, during and after the performance or workshop. Artists are advised to send their study guides to the school at least two weeks prior to their performance, to help educators prepare their students for the performance. Below is a list of Study Guides and Know-Wonder-Learn Charts currently available from the performing artists in the Artists on Tour Directory. To download a PDF, simply right-click one of the links below and save it to your computer. These documents can also be accessed via individual artists' pages in the Artists on Tour Directory.